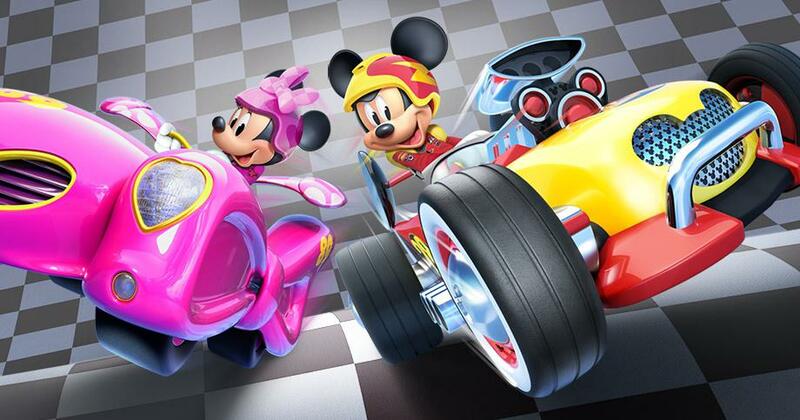 First of all, Disney’s new action-packed story takes place in a brand-new town called Hot Dog Hills where Mickey, Minnie, Goofy, Donald Duck, Daisy Duck and Pluto team up with some special guests (voices of Jimmie Johnson, Danica Patrick, Jeff Gordon, Jay Leno and others) for high-octane adventures together. And just wait until you and your kids see what everyone’s favorite pals are driving! “We had so much fun coming up with the car designs,” says Mark Seidenberg, Co-Executive Producer, and Head Writer. And for the record, the roadster designs are off-the-track creative, colorful and imaginative. Mickey’s daily driver becomes a roadster that looks like a very American hot rod. Donald’s everyday car turns into a nautically-themed roadster called the “Cabin Cruiser.” Minnie’s “Pink Thunder” roadster sports a big bow for a spoiler while Daisy’s daily driver becomes a roadster called the “Snap Dragon” with a spoiler that looks like a daisy. And leave it to Goofy. His daily driver car transforms into the “Turbo Tubster,” a roadster shaped like a bathtub with a working shower. Only the Goof would think of that! And creating the new town of Hot Dog Hills was just as exciting. “We started by thinking about the kind of stories we wanted to tell, and the town grew out of them.” LaDuca says. For instance, all the streets have a race track feel. And Mickey owns a garage where everyone helps out. (Minnie and Daisy do the detailing and painting, while Donald is the mechanic.) Can’t you just imagine the wrenches flying every time he loses his lug nuts?! In addition, Minnie and Daisy are also the proprietors of a new business called “The Happy Helpers” in which they tackle fun, odd jobs. With The Happy Helpers, Minnie and Daisy are entrepreneurs ready for anything that comes their way! Whether it’s kitty sitting, Gorilla wrangling or pulling off the perfect luau, it’s always high fashion fun with Minnie and Daisy! “They take on some very unusual jobs,” Seidenberg says. It’s easy to hear the enthusiasm in LaDuca and Seidenberg’s voices when they talk about “Mickey and the Roadster Racers.” “We’ve just had a blast,” LaDuca says. We think kids will share their enthusiasm, too. What’s not to love? New vehicles . . . fun settings . . . and high-speed adventures. 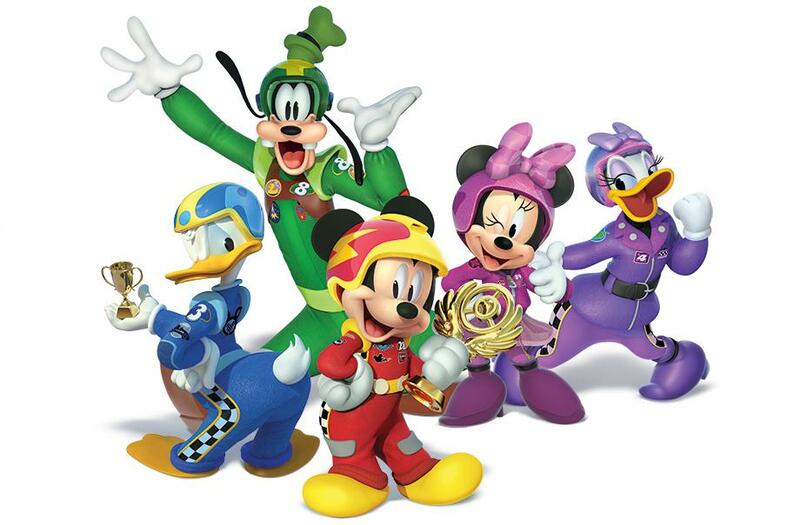 But most of all “Mickey and the Roadside Racers” features Mickey and his pals in tales about friendship. And that’s what really makes the wheels of this fun-filled Disney Junior show go ‘round.